Hello, friends! 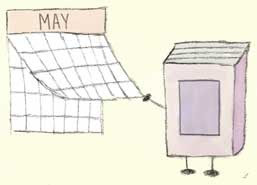 Today is the last day of May—does that seem insane to anyone else? Now would be a fantastic time for a TARDIS or Time-Turner to appear! Sacrificing some preciousssss sleep a couple of nights in order to read A Court of Wings and Ruin was totally worth it! I regret nothing, even I had to drag myself out of bed for work on less than the optimal amount of sleep. I also got in some rare quality reading time during the three day weekend. I supposed that in the past weeks, I had crafted my demeanor as intricately as one of those paintings. I supposed that if I had also chosen to show myself as I truly wished, I would have been adorned with flesh-shredding talons, and hands that choked the life out of those now in my company. I would have left the gilded halls stained red. You go, Feyre! XD Happy June, everyone! Seems like you had an alright month. May was crazy for me and yeah I am with you, I can't believe it's over. *sigh* this year is moving so quickly. 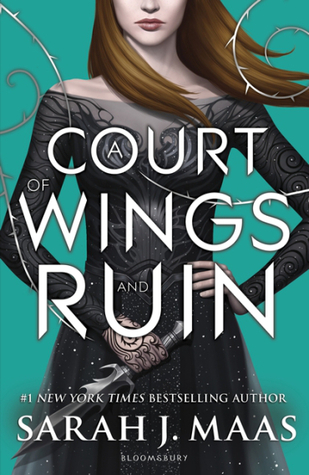 Glad you liked A Court of Wings and Ruin. I am so behind on Sarah J. Maas's books it is sad. I hope your June goes a little slower and you have more books you enjoy! Thank you, Sharrice! :D This year is going by ridiculously fast; I'm definitely feeling left behind, lol.